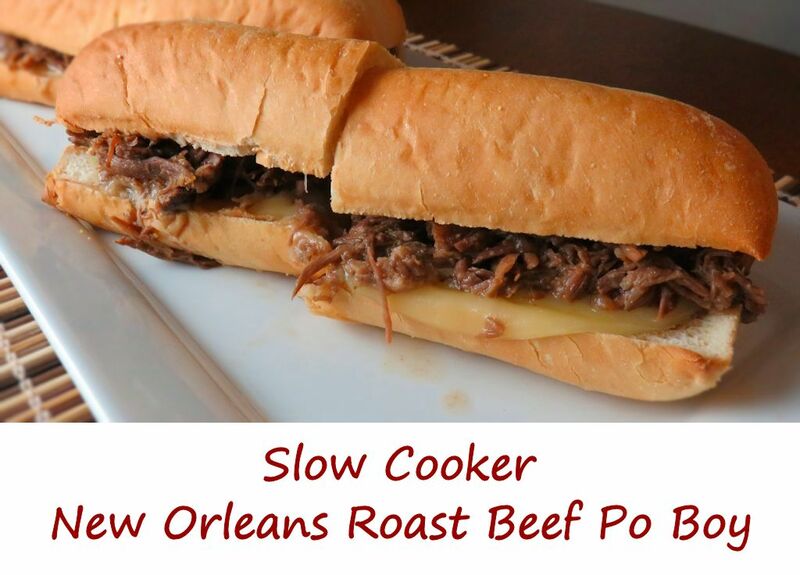 This slow cooker New Orleans roast beef po boy all I need on a cold day. Nothing fancy, just great-tasting tender beef that melts in your mouth. On a French bread loaf (real po boy bread is something that’s hard to come by here in Indy. although I do occasionally make my own), topped with a slice or two of cheese, slathered with plenty of mayonnaise. That’s it. Oh sure, I could add shredded iceberg and some tomato slices and maybe some onion. Not this time. Just give me that great New Orleans roast beef po boy flavor and I’ll be a happy guy. You could actually serve this slow cooker New Orleans roast beef po boy like a French dip. Just serve a bowl of the juices from the cooker on the side. The shredded beef is also great over tortilla chips as nachos. Just add some cheese, salsa and whatever your favorite nacho toppings might be! Also try my slow cooker beef debris po boy sandwich. For 6 servings you'll want to pile the roast beef on pretty deep. You can easily get 8 servings out of this recipe depending on how much you want to use on each po boy. Spray your slow cooker with non-stick spray. Add the bay leaf, stock, onion soup, red wine, pepper and garlic powder. Cook on low 8-10 hours or until the beef is completely tender and falls apart. Remove to a cutting board and chop or pull. Return the meat to the slow cooker. Brown the rolls and slather with the mayonnaise. Don't be shy with it, you might need more. Spoon the meat onto the rolls and top with the cheese. Ladle the juices from the slow cooker into bowls for dipping.